Every growth has its limits. Marketing is a key tool for products scaling and company growth management. You should always have in mind, that rising sales may not always mean rising revenue. Similarly, growing marketing spending does not necessarily mean the growth of the company. The most important steps while doing a marketing strategy are to define your limits, to effectively distribute the investment and to assess potential risks. The analysis of the margins and the structure of the product portfolio are in this case more important than the definition of the target group. The rest is just the selection of channels and creativity. But what's the charm of a good marketing strategy? For us, business is bit of an oxymoron. On one side, the true art of business lies in scaling - that means finding outher resources than your own personal time and use that resources (investments, human resources) to make you money while you are not wasting your time. If you are unable to do this, you have only created a job for yourself. Which is fine, actually all of us started this way. However - current state of consumer packeged goods business is in a terrible state. The value of product is diminishing and the value of marketing and price is te most important driver of purchase. Many of the most “succesfull” companies are endlessly “growing”. But is it a real growth, if you have directly created a massive air and water pollution, whilst doing bilions of dollars of turnover on Alibaba? We think not. Many creative/marketing people tends to say “sky is the limit”. Yeah, so that is what we do not agree with. We always see and propose limits to our clients. Because as you can see in the picture above - the cat is nw enjoying her box. However, few more treats and she won''t fit in there. 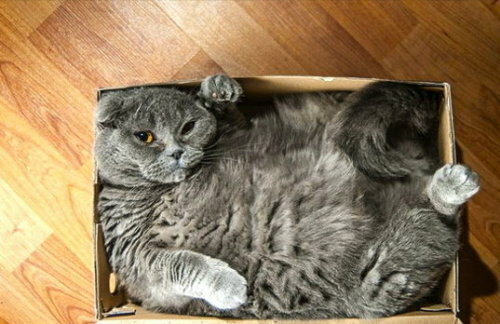 And what is life of a cat without a box? Approximate time and price: We are able to prepare a marketing strategy in approximately 14 work days. Mostly, the approximate time and price are dependent on the set budget. Usually, the fee ranges from 4 to 6% of the total allocated marketing budget. Do you want us to help you to set up your marketing strategy? Get in touch!